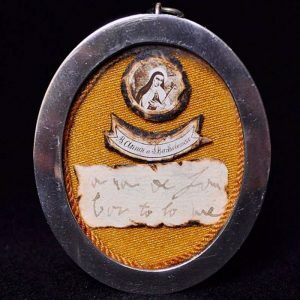 The artifact is a rare reliquary containing two relics of St. Teresa of Avila including the shroud in which she was buried and her signature. It measures 44 X 37 mm in a frame. 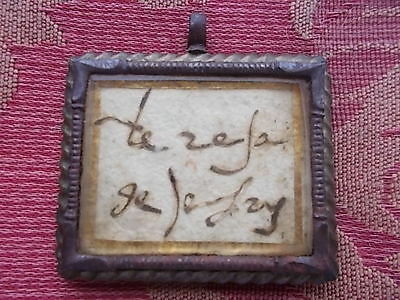 The reliquary almost certainly dates from the era of her canonization in 1622. 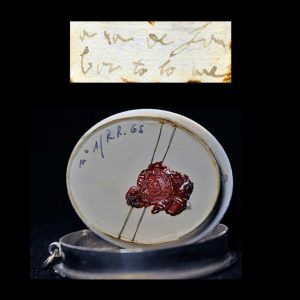 This is a valuable addition to the Papal Artifacts’ Collection. 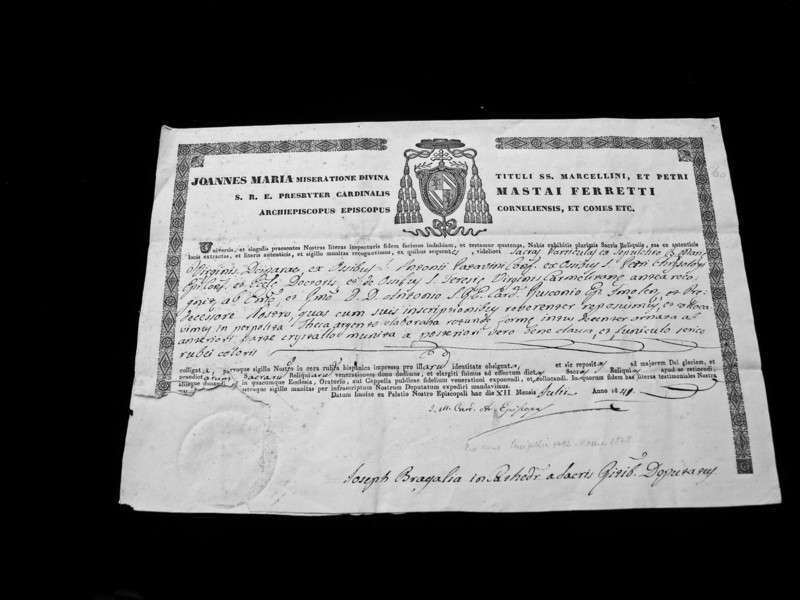 Born to a noble family on March 28, 1515, Teresa was on of nine children born to Alonzo Sanchez de Cepeda. When she was twelve years old, her mother died. An oft told story about her is that at the age of seven, desiring martyrdom, she ran off to find the Moors, who, she hoped, would cut off her head, thereby granting her wish. Later, she imitated the anchorites by building hermitages in her family’s garden. “Great sins” awaited her: reading novels, flirting and frivolous chatter–the common practices of the young. Not common, however, for Teresa. 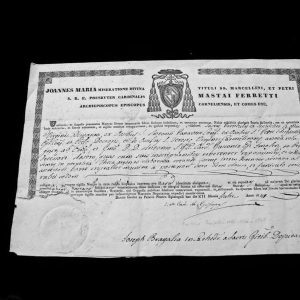 By age sixteen, she boarded at an Augustinian convent and remained there for eighteen months. Later, after a conversation with an uncle, she embraced her vocation to be a nun. In 1534, Teresa took her vows at the Carmelite convent in Avila. She was allowed to receive guests there, and for twenty years, she tried to enjoy both the delights of prayer and the pleasures of secular conversation. But something was amiss: the gift of her whole self to God had not yet been realized. When it was given, her life consisted in prayer, apparitions of Christ, sufferings, and ecstasies. 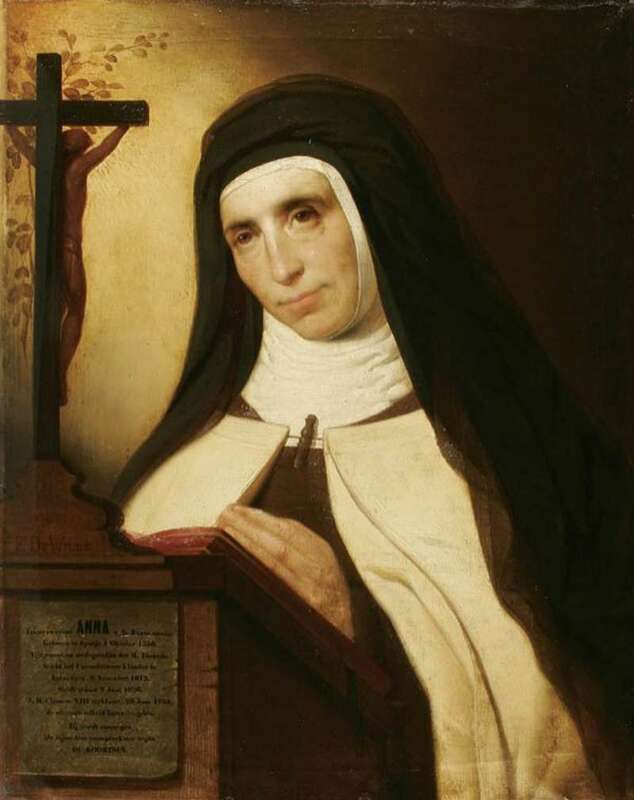 In 1562, Teresa set out to reform the Carmelite order. This resulted in innumerable persecutions and sufferings. She established convents in Avila, Toledo and many other sites in Spain. 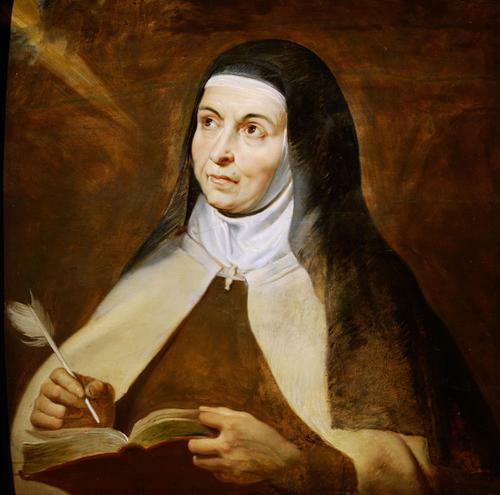 Teresa and three ducats and God are sufficient to make a success of everything, she said, while attempting with meager means to open a convent in Toledo while having next to nothing. Teresa was aided by St. John of the Cross and Father Jerome Gratian who helped her reform all branches of the Carmelite order. St. Teresa is one of the most universally admired of women. Her intelligence and charm, her chivalrous spirit, her talent as a writer, and her experience with mystical connections to God have won her a privileged place in the hearts of many. 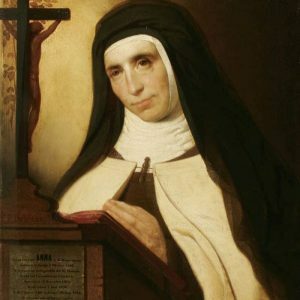 She died in ecstasy at the convent of Alba, her head supported by Mother Anne of St. Bartholomew, her eyes fixed on the crucifix, on the night of October 4-5, 1582. 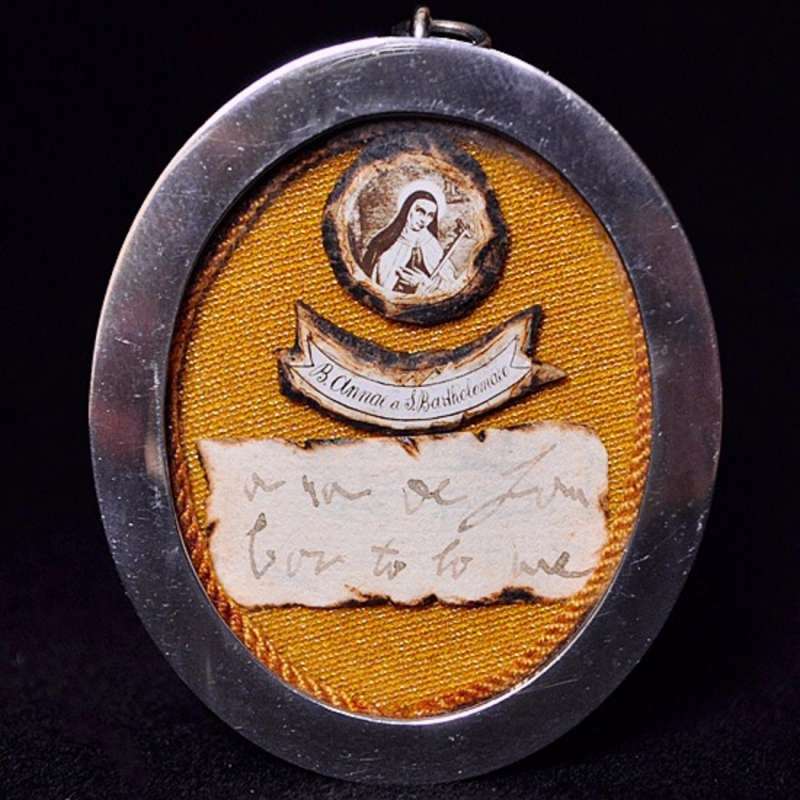 In 1970, Teresa of Avila was made a Doctor of the Church, along with St. Catherine of Siena. Yet it is as a mystic that she is best remembered. 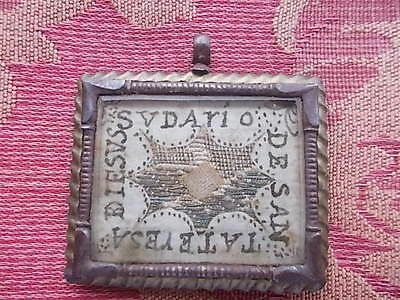 Papal Artifacts also has an item connected to Blessed Anne of St. Bartholomew, which is featured here on the Saints & Blesseds pages. St. Teresa of Avila and Blessed Anne, pray for us!